15 minutes from Morioka Station by car. Standing at the top of a small hill, the Morioka Grand Hotel. 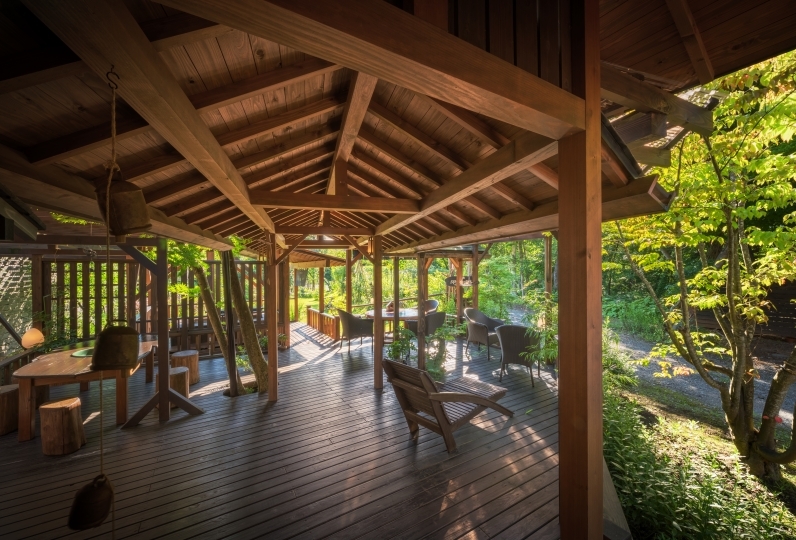 Away from the hustle and bustle of the city, enveloped in greenery, why not fully enjoy a superb stay here? 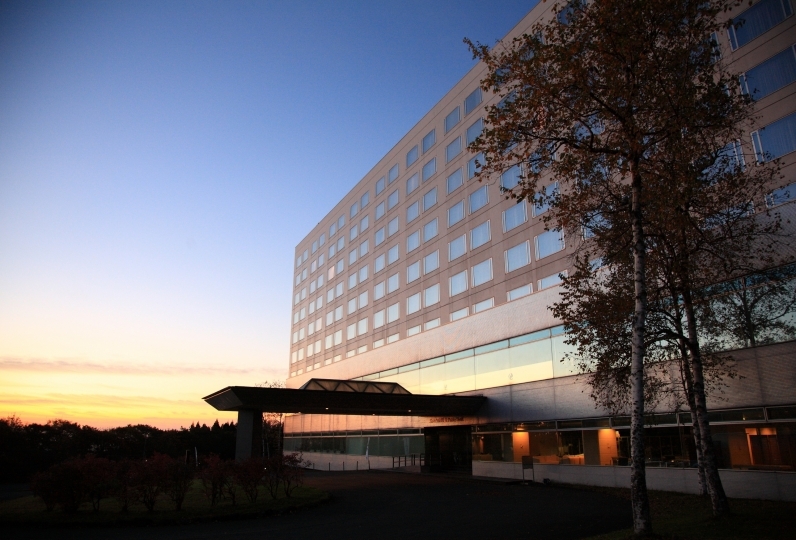 The Morioka Grand Hotel, having brough smiles to many ever since its opening. 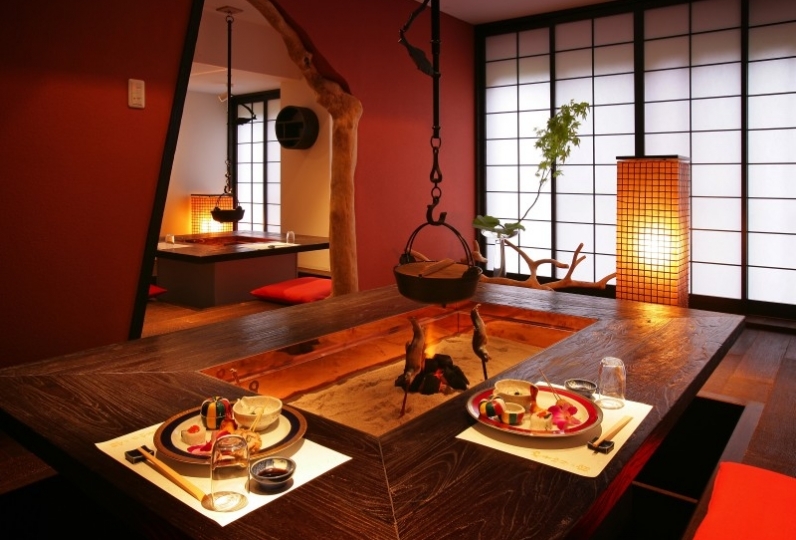 Well known as Iwate's guest house, the hotel has continued the same mentality into the modern age. A warm atmosphere drifts through the brightly illuminated rooms. 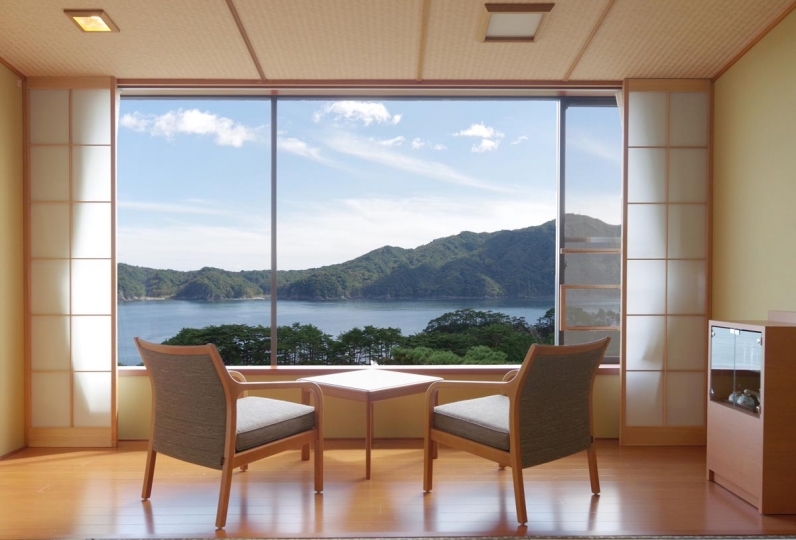 You can choose a room that suits your preference best, from rooms enveloped in greenty or rooms from which you can look over the whole of Morioka city. The restaurant is a place to spend treasured moments with your loved ones. 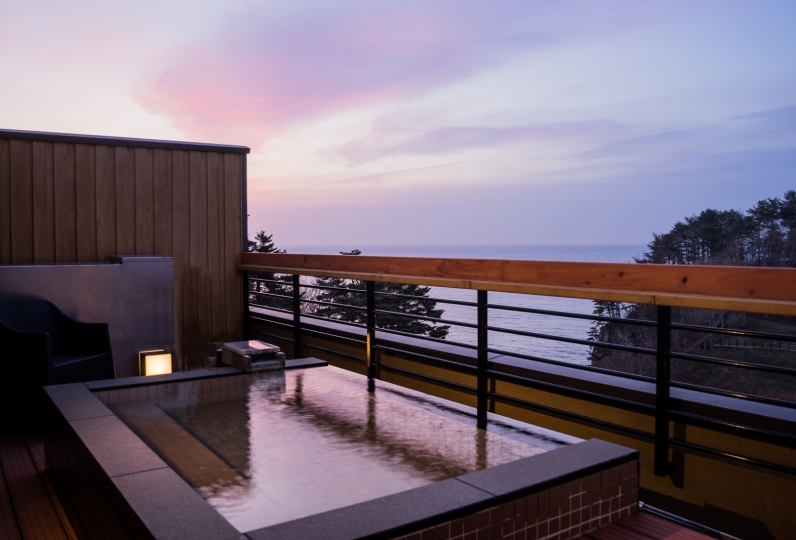 Here you can enjoy the specialities of the region using plenty of ingredients taken from the coast and mountains of Iwate, bringing smiles spilling onto your face without you even realising. Standing on top of a small hill, Iwate's Guest House. Please spend a moment here surrounded by beautiful nature, away from the bustle of everyday life. In order to fully satisfy our guests, as well as move them emotionally, we believe in providing the best taste, service and atmosphere. We prepare a menu using seasonal ingredients, at a great location where you can look out over Morioka city and enjoy both French and Japanese cuisine at the same table. Under the concept of 'Modern French', we bring out the potential of the ingredients using superb cooking techniques, to deliver an amazing plate of French cuisine. The high quality service and somelier pairings from an abundant wine list add colour to an already extraordiary moment. When it comes to Japanese cuisine, we offer a seasonal menu prepared with thoughtfulness, from the cooking techniques, flavours, right down to the temperature of the serviceware. On top of that, we implement a 'local food for local consumption' practice, delivering to our guests the harvest of the mountains and sea that Iwate is so proud of, just as it is. There is no large shared bath. The size of the rooms ranges from 45.8㎡ - 117.3㎡, much larger than a standard hotel room. On top of a hill from which you can see over Morioka City, you can also enjoy a morning walk in the nearby ”Atagoyama National Park”. 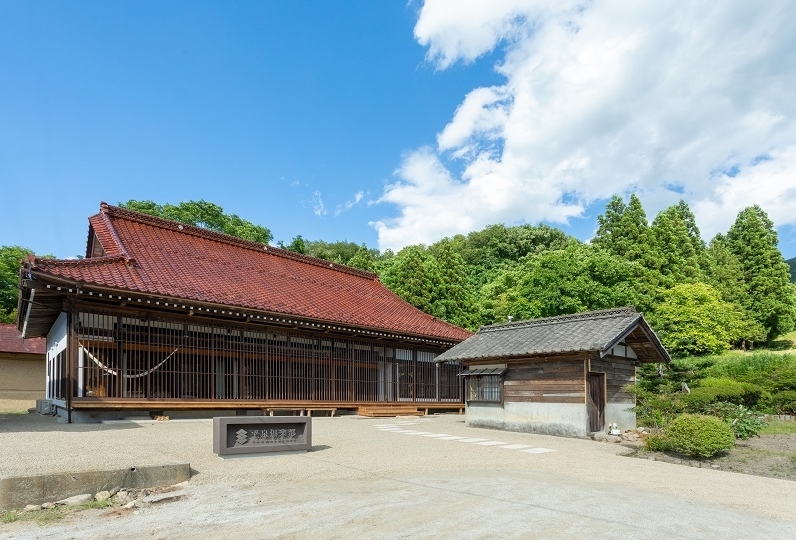 Approximately 15 minutes from Morioka Station by car, situated not far off from the centre of Morioka City and along the 4th National Road that cuts through Iwate Prefecture. The free car park can hold up to 150 cars, pleasing guests who make their way to the hotel by car. Tokyo station to Morioka Station (Tohoku Shinkansen) Approximately 2 hours and 10 minutes. 50 minutes from Hanamaki Airport by car.